it during the summer months. We're now almost two weeks into the summer routine and everything is going well. it's totally ok to take a day off and be more laid back with the schedule. 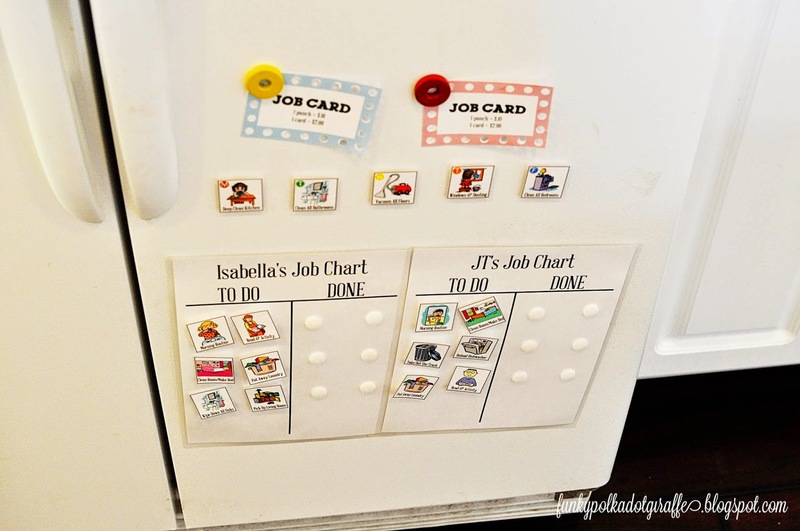 about how I compensate my kids for their hard work. receiving payment for jobs, chores and household work is a privilege - a perk. 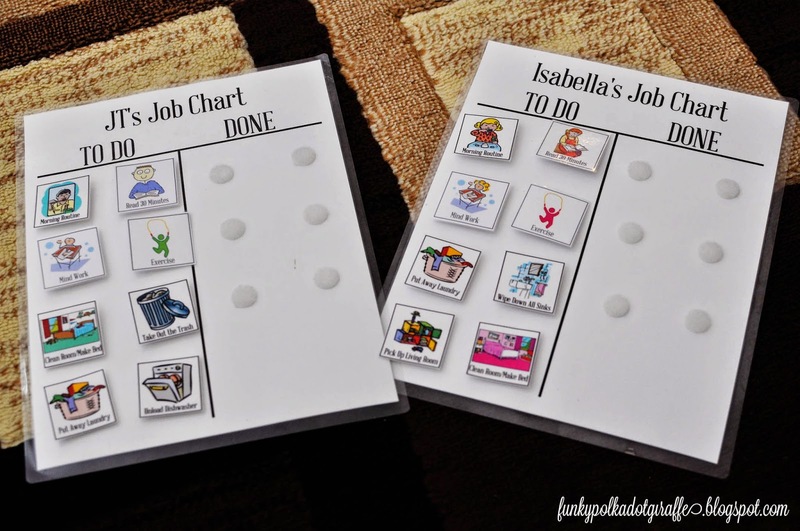 their chores if there is some type of reward for doing the work. and save for things that are important. 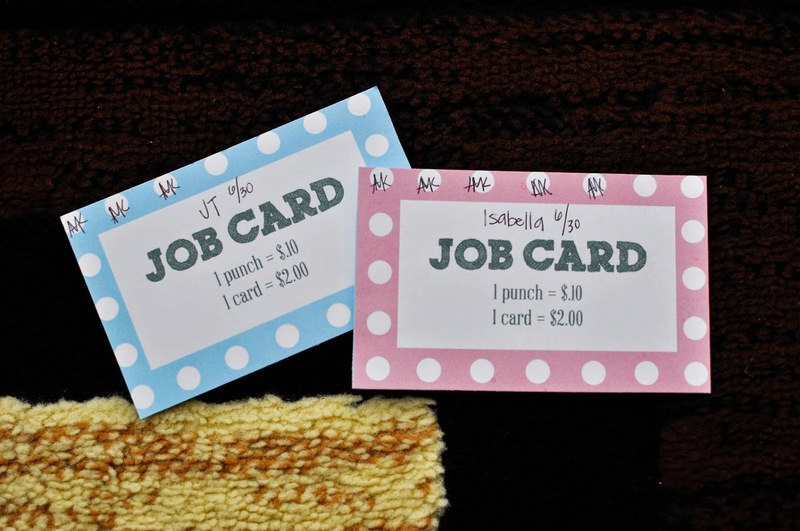 Enter our job punch card! 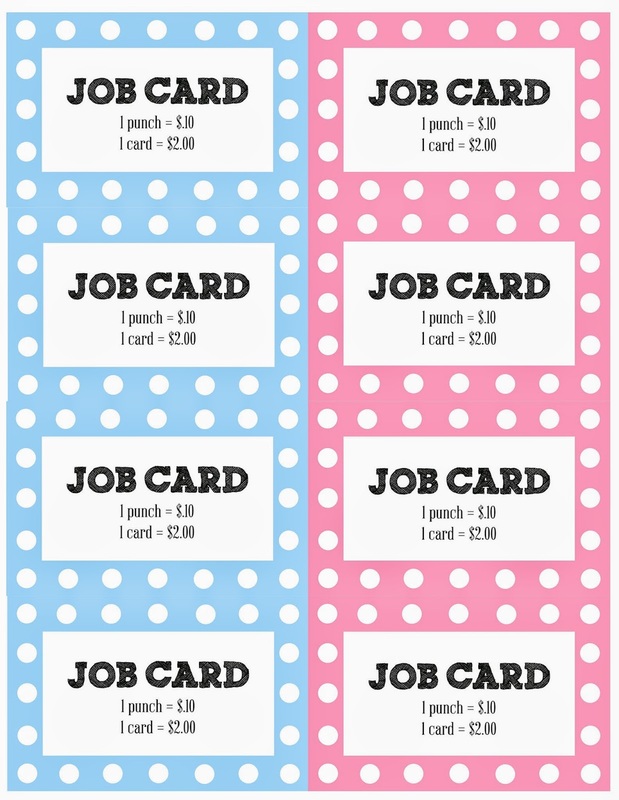 Job Card to me so that I can sign/punch them for the day. they can earn 8 punches a day just for completing their job chart. need to have a punch worth more than that. You could always make your punches worth $.25 or punch two times per job. and it is a visual reminder to bring it to me when their jobs are done. punch, so I just start initialing the cards and that has worked well for us too. The kids get paid on Monday nights at Family Home Evening. They can only get paid when their punch card is full. into their money box which is divided into - tithing, savings, and fun. They like to keep their "fun" money in their wallets, and I don't mind that at all. in your home to help reward your kids hard work! 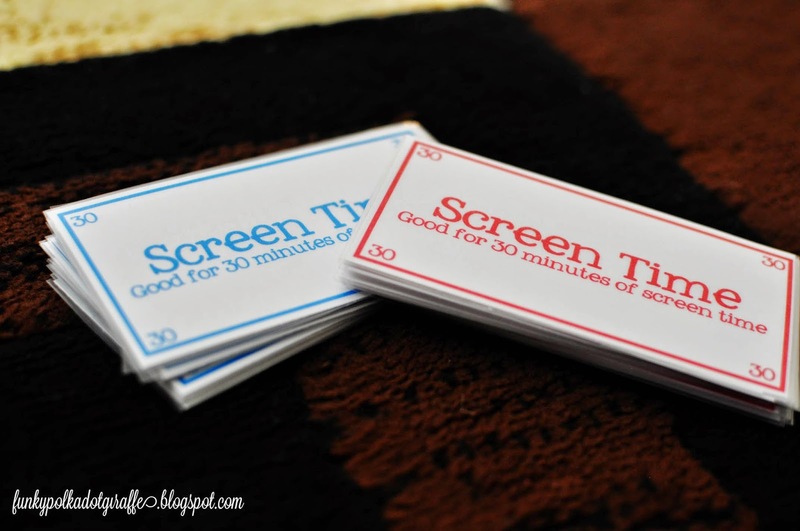 if they trade in unused screen time tickets. summer vacation and keep everyone from overdosing on the screen!